Quick Info DashClock Extension brings your own custom text to the DashClock Widget. Your quick info text is visible on the locked phone or tablet for everyone to see. 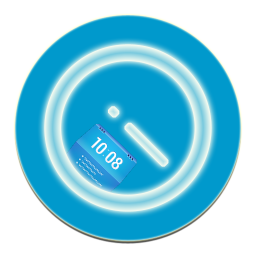 Quick Info DashClock Extension comes with a collection of custom icons, one text as the quick text located next to the clock and another text for the expanded info, visible when sliding down on the DashClock Widget. Speech recognition is available for hands-free use. Phone numbers, web sites and email addresses are automatically linked. Quick Info DashClock Extension is designed for tablets and phones of all sizes and integrates nicely into Android's Holo designs. Head to the screenshots section to take a look at DashClock Quick Info Extension in action.